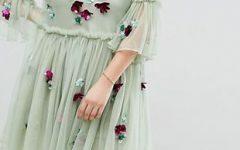 Nadia is a fashion force to be reckoned with having worked hard to establish herself and amass just under 400,000 followers on Instagram alone. Nadia is a designer, model and stylist who is insta famous and known for her unique, playful and sassy sense of style. UK based blogger Callie started her blog as a way to document her diet regime but after moving to London and growing in confidence she began to garner fans who saw her beauty, beyond her size. Announced this year as a new columnist for Marie Claire UK and still gaining followers on social media Callie is set for a meteoric rise. 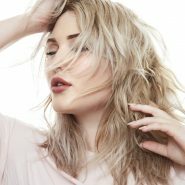 With her striking, model looks and very famous surname Hayley Hasselhoff has been forging a hugely successful career as a plus size model. 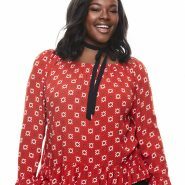 Walking in plus size fashion shows around the globe Hayley has been outspoken in her pursuit of acceptance and equality from the fashion industry and has given several prime time interviews on the plus size debate. As the daughter of Hollywood actor Andy Garcia, Alessandra has been used to the limelight since she was a child. Her beautiful looks have seen her work for major brands and front campaigns as well as dip her toe into acting. Brielle is a new face signed to Milk who was discovered as part of Slink Magazines model search for an International Curve Model and has been shot as the cover star of the magazines Inspiration issue. Anna is a true visionary and has spoken out in numerous interviews about the fashion industry and its dichotomy on size. A former model, she founded Milk Model Management as a way of giving plus models a platform and has been responsible for the careers of such powerhouses like Robyn Lawley and Tess Holiday. Mirna is an inspirational ultra-Marathon runner and blogger as well as Spanish teacher, choral director, diversity practitioner, cross country running coach and avid trail runner. Her blog Fat Girl Running has received major global coverage due to Mirna’s candid way of writing and her joy of exercise. Jess is lead singer/songwriter with her band Jess and the Bandits. Jess has performed at several plus size fashion events and summer festivals worldwide performing her own music which is a blend of pop, folk and country.